In 12 months the Ad tech market place has gone totally crazy, impossible to keep track of it all and the money invested is off the scale, but below I highlighted a few stories and events in the last 11 months that I noted. I will have missed others for sure! There has been some negativity around the space with transparency being a hot topic and whether advertisers want to take this all in house, but those headlines have distracted from some incredible market changing investments, purchases and alignments. Enjoy the reminisce! The Partridge in a Pear tree for Yahoo was Enrique Decastro, bringing him in on a huge salary and being presented as a saviour for the organisation, driving sales and value for the business. Unfortunately January saw that particular partridge being shot. Quick acting by Marissa to be fair to her, but an unlikely choice in the first place according to many. More recent news has seen Lisa Utzschneider fill that space, coming in from Amazon. In other news Turn receive their belated Christmas present raising $80m as they march on as a leading DSP in the market and looking to expand beyond that descriptor and moving more towards a wider DMP, services model, some might call agency model. February was IPO crazy month with Pubmatic rumours, Rubicon filing, Rocketfuel all taking the plunge – some big valuations were banded around and it was the month everyone realised that the good times were back and the VCs were starting to spend all that cash they had been hoarding through the bad times – the bubble is inflating. Google buys another company, on the back of Deepmind in January, a London based machine learning company, called Vungle. We have seen the signs but Oracle buying Bluekai was a big flag being waved to show that the digital media business was being taken seriously by the cloud and consultancy companies. We also saw round one of TV disruption being won by the old school with Comcast getting Netflix to pay them for streaming services, the upstart being slapped into place. But all the IPO business paled into insignificance when the world collectively went ‘what the f*** app’ as Facebook put down a multi billion dollar offer for the social messaging app. Cue the hand wringing about lack of revenue, too high a price from the digerati turned incredible commercial strategists. Facebook are clear on this, show us something growing fast and taking share and I will show you my cheque book (or should it be Visa Debit Card). Scale is everything in a world where data and the identification of people and what they are doing and where they are doing it becomes the most valuable asset. Or perhaps Mark is hoping to achieve the same status as Steve Jobs who was approved to appear on a US stamp that very same month. March saw a number of moves for the future by different companies. Comcast bought Freewheel, a clear indication they are gearing up for a programmatic, data led future and could not resist the tide any longer. At the same time AOL One launched to much fanfare – the Game of Stacks now well underway with AOL taking a big step forward, We are but pawns in this incredible battle of supremacy between AOL, Facebook, Amazon, Twitter and Google and there is much more to go as we see this play out. The single view of the customer across screens is a vital offering and these teams are throwing everything at it, whilst Microsoft seems to be frozen to the spot at the moment. Perhaps they need to remove their whole sales team and start again? Oh.. Finally in modernisation March we saw Conde Nast take the stage and announce proudly, albeit a few years late that they had decided that yes programmatic was something to pay attention to and they would be getting involved. Thanks for that. The first signs of trouble for the IPOs of the previous months – the city falling out of love with a number of them, seeing prices fall significantly and some below opening day. There was some scepticism at IPO but recent press questioning whether these companies were right to value themselves on the hard work of bot traffic came into play. As the curtain lifts on the methods of many RTB companies this may be a theme for the future, perhaps even hitting the FT one day…oh it did. RadiumOne saw some ‘Rocky’ waters as their CEO was eventually prosecuted for beating his wife up. It took some time and a fair amount of industry Twitter rejection to get him ousted but it happened and then everyone moved on as he set up Gravity8 three minutes later. As if to demonstrate two different strategies Facebook and Google both made a play for the future with Facebook launching an…. 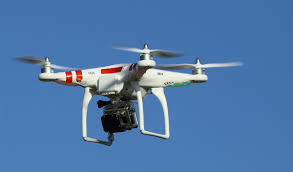 Ad Network..meanwhile in other news Google bought a drone company – was it an April Fool? well after Nest in January and now a drone maker it appears not – Internet of Everything anyone? 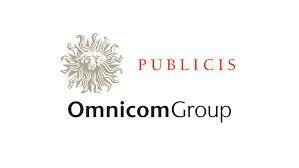 Publicis and Omnicom call off merger. Must be something else they can buy sooner or later surely? Millenial and Rocketfuel taking an absolute beating on the stock market as increased speculation on their businesses and whether or not they are complimentary or in conflict with agencies rage. Google and AOL keep buying companies to further enhance their operations, Google getting into attribution and AOL into cross channel allocation, interesting that both are now toe to toe on making the stack work. It was a month where everyone appeared to be tooling up with Axium buying and Liveramp to help with data onboarding. 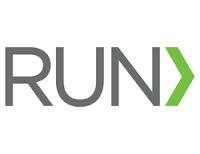 What is the worst brand name in Adtech? Qriously of course. Apparently that was not all bad and brought some pre Cannes exposure coupled with their expensive tablet card asking for a meeting. Memorable but expensive I would say, some might say a qrious decision. June was the month GroupM announced a withdrawl from open exchanges and that it would be done by Christmas, big claim for sure. Could someone check for me? pretty sure they are still there but there is still time. 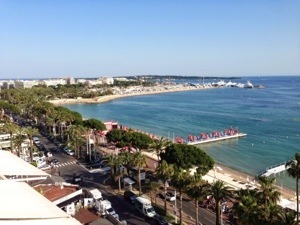 As with every year Cannes came around and the Adtech world took it by storm – the rose looked and tasted the same, the beaches were packed with hard working media folk but the names were different, everyone had upgraded this year and the place now resembled an Exchangewire event at scale. 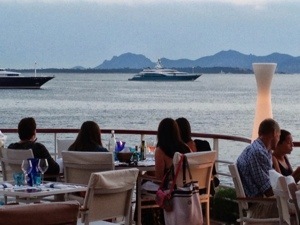 It was a good time to be in Cannes as the money continued to flow and pay for those expensive tents and lunches. Mediamath picked up a massive 170m dollars, Twitter bought Tap commerce for 100m, Facebook bought slingshot and WPP ploughed 25m into a DMP strategy. Enough said, the boom continued and at pace. Facebook buys Liverail as its next move in Stack Wars, Yahoo buys Flurry to continue its successful push into mobile revenues, a battle it appears to be winning as we are seeing now as it overtakes Twitter in mobile revenues. Linkedin bought Bizo, a natural fit for both and makes us wonder if the sleeping giant is starting to wake up and join the fight. Rocketfuel bought the very transparent X+1 as it starts the long road away from the darkness and into the incredibly difficult world of running a business transparently. In the spirit of transparency Turn took a turn in July and went on the offensive, taking aim at Tubemogul amongst others, it felt like an email you send late at night when slightly under the influence – stand away from the send button. Oh no, you did again..in August. 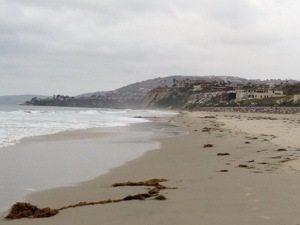 Everyone went to the beach. Google bought some more companies. Millenial fights back and buys Nexage to grow out its programmatic credentials and build credibility in the data and RTB space. 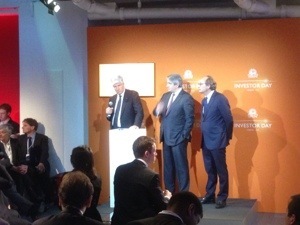 At the same time WPP drop their adserving business and buy into the DSP business, out with the old in with the new. The Alibaba IPO put Yahoo into a very interesting position, as perhaps a buyer or maybe a seller? There is a strong belief that Yahoo and AOL are on a collision course and so having their P&L filled to the rafters with the Alibaba IPO cash will put them in a great position either way. But really all everyone wanted to talk about was Atlas and the launch of their new adserving platform and soon to be launched DSP. 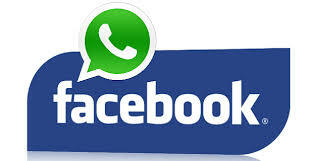 Facebook had now made its biggest move in the Stack wars. Combining improved adserving tech with their data and soon to be launched DSP. With this move we see ever more clearly that there are likely to be some large islands of tech and everyone of those is ring fencing owned and operated inventory and how you access it. We have moved a long way from the utopia of one access point to the web and are now focused on how can we join these islands up with DMP and other technology. Publicis buys RUN and invests in Matomy – something to expect as we progress and competition comes not just from other agency groups but also the very aggressive managed service offerings and RTB networks. Agency groups will need to tool up more and more and so I think we can expect more down the road. Mediamath go to prove the point and buy Upcast showing how they need to tool up as well and keep delivering new products and services cross channel and cross device. Meanwhile Videology launch a programmatic TV offering to follow Turn but go a step further in teaming up with major US TV partner. Stack Wars is back in October with Yahoo buying Brightroll, a sensible move as you consider the purchase of Adapt by AOL and Facebook of Liverail a couple of months earlier. We now see them all with video offerings, display offerings, adserving and performance products and suites of data. I think we are about at the right time to see them kick off. Atlas has hired a key guy in Damian Burns to lead their offering, once he has his feet under the table I think we will see some real movement. 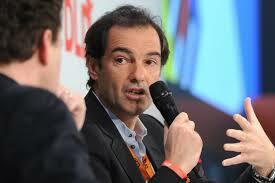 Publics buys Sapient a huge acquisition and another one under the radar taking the advertising world by storm. 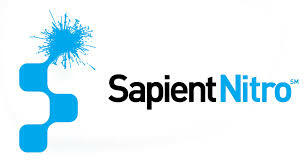 An incredible team of people joining the Publicis.Sapient platform. Channel 4 after years of resistance to programmatic have announced they are getting into the market place and will no doubt leave ITV where to go next. Either way it is clear the TV marketplace is hotting up and now we are seeing a hockey stick of activity and partnerships. Exciting times all around. Rubicon buys two companies to help build out its direct deal automation tech..yawn. Yes you got it, we are going to take all those buys you used to do over the phone and now do it on a platform without any cherry picking or data insights. Just back to buying impressions. Back to the future. For those of you who have been living through the digital advertising era from the start can not help but notice a little resurgence of what used to be the only names that counted in digital media. In those early and exciting years AOL, Yahoo, Microsoft, Excite ruled the landscape until they started to come under fire from the upstarts, not least a start up called Google. The pursuing years saw these companies lose their place in life as more and more competition entered the marketplace. It is not to say of course that they have not always been major players, but without doubt lost their way in the face of Facebook, Youtube and others. 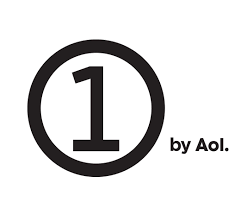 In the last couple of years we have seen a come back, it started with AOL. Launching Project Devil to stamp some brand credentials on what was mostly a DR product through Ad.com, the purchase of GoViral started their video offering and then more recently Huff Post, all adding up to create some powerful content. The final act though has been to embrace the programmatic era and to beef up video with the purchase of Adapt.tv, rounding off what is now a far more interesting offer for agencies and seemingly leading them to a return to the top. Yahoo have seen a similar track, they had a head start with Right Media in programmatic but did not know what to do with it and in my opinion lost a few valuable years vs Google when they should have been ahead of the game. RM was neglected and allowed to become a down market solution, when it should have been the forerunner of private marketplaces. The much hyped arrival of Marissa has had many words written about it so I wont focus on that but it appears that a series of purchases in mobile is starting to bear fruit. Marissa has in fact bought 35+ companies since joining, the largest of course being Tumblr. The good news is that mobile traffic for Yahoo is on the up, in fact it is up 47% year on year. The approach towards native ads such as ‘Stream Ads’ and away from banner should also increase yields and encourage brand advertisers onto mobile. If you believe the press releases Yahoo plan to phase out all banner ads by the end of the year. So that leaves Microsoft. Working with Microsoft over the years has been like watching a wildebeest bog down in sinking mud, struggling harder and harder but just getting into a worse and worse situation. Microsoft have always had the ingredients to make an incredible meal, but somehow the planning and then the execution always fell short. I have for many years looked to Microsoft to turn that corner, they have the four screens, an incredible offer in the Xbox and Kinect, turned a corner in mobile and yet stiching these things together always seemed elusive. 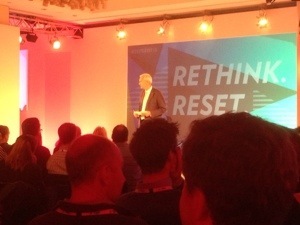 I remember for instance sitting in a presentation in Cannes where Microsoft was presenting the new Windows8. It looked great, but telling to me was little or no information about how advertising would work within it. The potential tiles as Ads in W8 was clearly an early example of a Native Ad – although luckily the term had not been coined yet! However these tile Ads would be perfect for programmatic – unique to Microsoft but definitively able to be automated. However no one had planned that far ahead, the company worked in silos. What a shame for them and us. Programmatic as a whole also demonstrated a lack of future planning. When Google was buying companies and integrating them, Microsoft was desperately trying to protect its direct ad network business. Even today they are behind the curve, they started fast and then went backwards a little with limited targeting capabilities and a seemingly disconnected leadership who were not willing to move faster and embrace programmatic. The recent launch of Microsoft Video Network is both a step forward and a step sidewards versus competition. Microsoft are taking their valuable data and applying it across the video exchanges, where AOL are buying the tech outright rather than licensing. 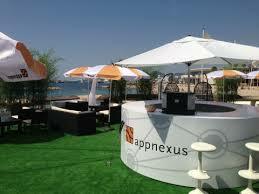 Where Google are buying Invite and Doubleclick, Microsoft bought 5% of Appnexus. Even the Crown Jewels of Xbox and Kinect have been under utilised, I am still yet to see an Ad pushing Xbox as anything more than a games console when in reality it is so much more, I think we will see that change over coming months as Google TV, Apple TV and others ramp up their efforts. But is not lost because the big picture for Microsoft is changing. The new leadership for a start. Microsoft ended up choosing from within, disappointing for some but as Satya Nadella says himself ‘he is now looking at the business through fresh eyes.’ He is also super bright, passionate and has accelerated change in just a few short days. Recently there have been a couple of large events, the launch of Office 365 and most notably onto Apple devices and the Build 2014 conference. Both these events have revealed that Nadella has big plans and wants to shake things up. Microsoft had already started changing with One Microsoft where they tore down siloes and made sure that cross divisional work and idea sharing started to happen, so someone creating software for the phone was thinking about advertisers as well. The example I sight above about the tiles would probably not have happened today. More importantly Nadella has pushed through changes inconceivable a few years back. What has changed. As Nadella describes it, we are now in an era of ubiquitous computing. 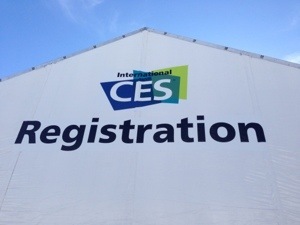 Connected users, devices all relying on the cloud for delivery of ever more complex solutions. Not for today but importantly for Microsoft they see their customers as consumers and IT professionals, the corporate world and only Microsoft really has the range to answer to both of those – this should rediscover for them differentiation.On average the consumer is carrying/using four devices and Windows and Microsoft want to span all those devices seamlessly, they want the canvas for software, Apps and their developers and users to be as wide as possible. So what are they doing? 1. Windows is being introduced across all devices including Kinect for Windows. A huge step forward for users and developers a like. Design once for all devices is crucial in this connected world. Still Apple and Android want people to design for mobile and desktop/laptop. As a user the more seamless the App the better the experience across devices. 3. Welcome to the new world of Kinect. App developers can now design Apps once that include Kinect technology to make incredible user experiences, this will make that box in your room, even more interesting and put Microsoft right back in the game as far as Apps. Likely end result being even your PC being able to work through motion. 4. Smaller signs of change have been to provide solutions that allow people what they want on their desktop like the start button. Some describe it as retreating, I call it sensible. Microsoft is listening and that is the main thing that we all want and need. There have been other innovations with Cortana the voice assistant, great that it has been introduced but not sure it stands out vs Siri and of course has arrived considerably later, but again an extra ingredient to create experiences for users. Microsoft really wants to get into the Internet of Everything and with their very close partner Intel they can start to revolutionise the home and out of home with Windows being the glue to make it all happen. Microsoft have realised that the world has changed and you need to pull users in with what is still a great set of products used by over a billion people. 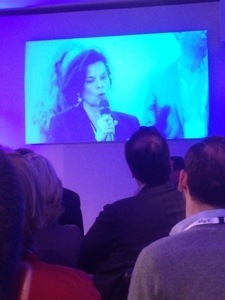 Microsoft have the opportunity to be a partner to your life in a way that no one else can, I say an opportunity. It is what they do with it that counts. Microsoft have a leading position in the home with Xbox, software and cloud computing has always been their strength, it is just application they must work on, phones and tablets need more work but by making life easier for developers and IT professionals they can solidify their position spanning consumers and corporate. Overall Microsoft, more than anyone has the plumbing, the hardware and most importantly the software, and they are focused on a mobile world. They need to make room for the marketeer in all of this and bringing them to the table, we as advertisers are desperate to make sure that Microsoft is central in plans but they need to make this easier for us. As with AOL, Yahoo I hope that we see a strong resurgence from Microsoft and it seems that Satya Nadella has the right ideas and guts to push them through. Just don’t forget that the advertiser would like to be involved. As the global leader in digital advertising solutions, VivaKi needs to stay on top of—or ahead of—digital marketing trends. New trends bring new tools, new techniques and new data that VivaKi can use to help its clients. The company’s integrated marketing platform provides it with a unified solution for cross-channel digital marketing, and Executive Managing Director Marco Bertozzi explains why that’s such a big deal for both company and client. At VivaKi, one of the world’s largest media counsel and buying groups, we feel these challenges keenly. To help our clients find effective ways to access and leverage their customer data, we’re turning to technology platforms. But there are many questions we need to ask when evaluating them. Will it make us more efficient? Will it drive a better experience for the consumer? Will it provide more opportunities to reach that targeted customer? Will it deliver better results? This is where a platform—a unified solution for digital marketing—can be extremely valuable. However, this is not to say that once you’ve committed to a platform, you can set it and forget it. Shifts in the industry will always necessitate adaptation. As your clients’ needs evolve, so does your quest to find the right tools. Recently, for example, this has increasingly involved the practice of retargeting—the idea of driving visitors back to your site with targeted messaging. As an early adopter of an integrated platform, at scale, we’ve been quite pleased, and the benefits for our clients have been significant. Here I’ve detailed some of the major features we’ve come to value as well as some of the results our clients have experienced because of its implementation. 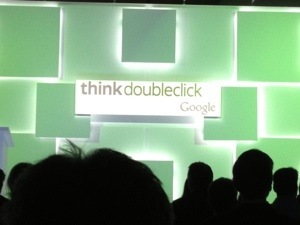 In our case, the solution we’re describing is DoubleClick Digital Marketing. Building brand response. Facebook, YouTube and the like provide a real opportunity for brand building, and we’re now able to seamlessly connect brand activity with lead generation. Consumers are very engaged on YouTube, and an integrated platform makes it possible to reconnect or continue the conversation with this highly engaged audience. 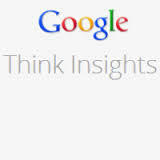 Insights from analytics. Imagine the range of actions people conduct on your site. If you dig into this data and gain understanding from the site analytics, you can then use this information to reconnect consumers. It allows you to turbo-charge the sophistication of your messaging, seamlessly aggregating insights to design creative that’s immediately applicable across the web. One size definitely does not fit all when it comes to campaigns, and advertisers now have the ability to adapt their creative strategy easily and quickly, using a single, unified platform. Real-time response. The term “real time” is often overused, but it has a specific meaning when applied to the bid process and programmatic buying. Here, recency and frequency are key: The ability to deliver a tailored message to a consumer quickly after a site visit is vital to today’s campaigns. Our platform lets us schedule an ad to run within the first two hours after a site visit. We can incorporate an aggressive call to action, and we can set the frequency at high. The research window is often small—the time it takes a consumer to research car insurance plans online, for instance. That consumer might look at only five sites, with a strong intent to purchase, so it’s important to act quickly and efficiently. Using a single stack has allowed us to bring this to life, providing a new opportunity for advertisers to react fast. Real-time data. “Real time” also has a specific meaning when applied to generating insights. Take conversion data, for instance; our platform removes the pain point of waiting to reconcile and mash up conversion reports to get a full view of our performance across channels. Because everything is happening on the same platform, we can make up-to-the-minute decisions using real-time conversion information. Better workflow. Workflow is incredibly important, as is knowledge sharing among teams. The platform brings together so many different disciplines—search, display, mobile, analytics—all working together for a single purpose: the client. The process of using paid search signals and applying them to our bidding activity is seamless and immediate. There’s no cumbersome uploading and downloading to deal with or spreadsheets to manipulate. We now have a single user interface for all of our experts to work with and share across agency teams. Increased performance. There is now a smarter, easier and faster way to make media-buying decisions. Results are what matters, and our integrated platform has provided us with many new ways to generate insights that drive results. For example, we’ve seen a better than 60% improvement in CPA across our travel and auto advertisers when they have incorporated their paid search signals into their display activity, using display remarketing from search ads. And when we used our stack for the U.K.’s first video retargeting campaign, we smashed all of our KPIs. In this forever-changing landscape, a common mistake is assuming that merely implementing technology is the answer to everything. In reality, it’s the questions you ask of the technology that make the real difference. Asking the right questions—those that can make you more efficient and provide nuanced messaging for consumers and better results for clients—is a step in the right direction. For us, and many others, choosing an integrated platform that brings together all advertising activity was a good first step. Persistent Identity – holy grail available to some.. I am Just back from meetings in Seattle and San Fran with the Big 4. Big 4 you ask? Well in todays world of data connectivity, mobile innovation and growth as well as digital commerce the big 4 has changed. Facebook, Twitter, Google, Amazon are now gunpowder and bullet. The others more and more the barrel. The message that is coming out loud and clear is that these players in their own varied ways are out to maximise the insights they have on their users and customers through a single themed approach of ‘Persistent Identity.’ I heard it a few times over the time I was out there, I have seen it mentioned in the odd article. But when you get to spend three days with all these market leading companies it becomes loud and clear that the data they hold on consumers is the key to their future and the single most valuable asset. Persistent Identity is a fancy way of saying ‘we know who you are, we know where you are and we know what device you are on, the holy grail of data. The kind of data and insights advertisers are crying out for. What strikes me about this data is how much more powerful it is than third party data sold by any number of companies, data which is slightly worn out, like an old apple at the bottom of a bag, still edible but just not as fresh and juicy as when it was picked. The ability to recognise you, add insights to your iD, serve ads depending on which device you are on, understand you through your behaviour by device, friends, clicks and links is so powerful, so powerful in fact you can see the likes of Facebook being the defacto judge of what is good or accurate data instead of the traditional players. That has already started of course but I think will gather momentum. Watch out panel data. When you take a step back and realise what data they have you can understand why they are reticent to share it or risk it being stolen, putting up walls of protection around it. Amazon with their marketplace, Facebook only allowing access through API, Twitter pulling info from Google, these are the actions of companies with hidden treasure. These businesses dont need all the old methods of tracking whether it is panels of adserved cookies, they know their people, signed in, registered people at scale. Persistent identiity is powerful and logical, the only problem is that you have to stack up on these solutions. Like having a car and pulling up at the fuel station and putting 3 or 4 different petrols in to be able to get the car going. I want to recognise everyone through the ability of joining up these players – I would love to spot a FB user who has been updating a status about an iPod, browsing on Amazon and nail them with a promoted Tweet or video Ad to close the deal. I know it is too much to ask to have all these companies reveal their secret source but targeting would be fun.. Either way, data businesses will need to work hard and fast to justify their models in the face of the biggest digital players in the world starting to pull up their sleeves and flex their guns, because be under no illusion they are big guns. Welcome to some photos of the last few months to liven up my blog. It has been a crazy few months but incredibly exciting and met some very cool and bright people that make life os interesting. 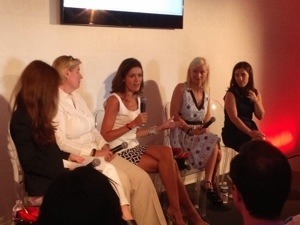 The first sights of Cannes, the main event and the Publicis entrance..one was visited more than the other..
Power ladies on one panel – Carolyn Everson of Facebook, Laura Desmond of SMG, Erin Clift of Spotify and Wendy of Coca Cola – not bad.. 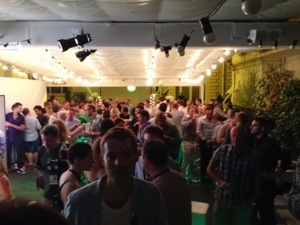 The juxtaposition of the classy Seb Fontaine against the Gutter Bar, we did both very well, great night with Spotify. 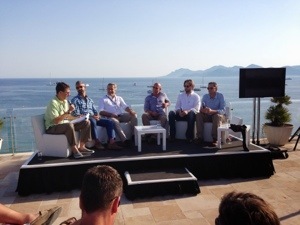 The Rubicon Panel at Le Rooftop, Cannes, the worlds leaders of Trade desks talking the talk. It was hot! 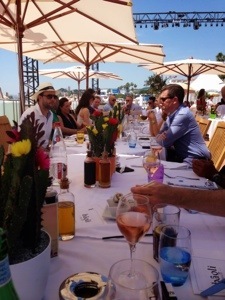 Doubleclick Client Advisory Board in Los Angeles – St Regis. Amazing venue and more announcements from Google. 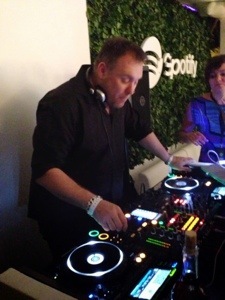 I also had my five minutes in the spot light! 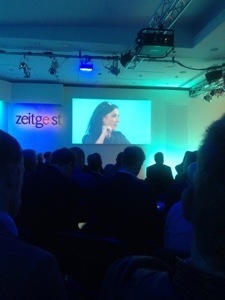 Google Zeitgeist – the amazing collection of people, politicians, genius types, robots and Jesse J – standard! It talked about how Google wanted to streamline the whole cookie process and launch for the first time a ‘true stack’ something that had raised some eyebrows at the time mainly because Google had been excellent in many areas but had been flawed on Doubleclick and bordering on slow in the DSP space after purchase of Invite. Google presented the new DFA and lots of new brand names like DDM – Doubleclick Digital Marketing, DBM, DC Bide Manager, DS3 and so on. Funny to think back then that even the Google people on stage were struggling to remember to use this terminology rather than good old Invite, DART etc etc. Neal Mohan presented credibly what the future would look like and that it was going to be powerful. At the time I thought, sometimes out loud and to the dislike of the DBM competition that this could really strike a blow to the competitive ecosystem if it turned out to be true. 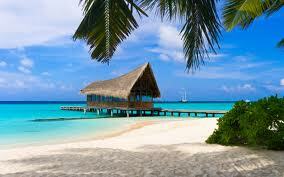 Fast forward a year. In my opinion a big part of that dream has turned out to be right. Let me start with some of Audience On Demand’s change. We were well known for working with Invite and were heavily crticised for it but we stuck with it, especially as I saw the content of CAB 2012. The London office of AOD, powered by Geoff and Danny migrated all accounts to DBM (we say that now instead of Invite with out reminder!) the London office was and probably still is the largest user of DBM anywhere in the world and that includes the US, that does not happen often with something like DC. As a result we were the first in the world to use the Search remarketing opportunity where DBM joins seemlessly with DFA and DS3. I cant reveal the results to that as thats my presentation at CAB but we learned an awful lot and that is still a big USP for us in the market as not many people have lined up DBM, DS3. DBM itself had a rocky start but again is now delivering the promise and we are pleased we got out there early and set the pace, working closely with the US team. Bigger and more ominous for the competition however is that the new DS3 has really started to roll and two big things have happend. The first is that the product itself is good, widely acknowledged to be an improvement on some systems without the extra cost. I have seen across Europe business being returned to them from the companies that jumped in to fill the void of a quality Google product for years. The second is DFA in general has started to win back some lost ground from others in its own right. A good job Facebook bought Atlas as that was literally dead in the waters and amazingly those few major clients who continued to use them had seen the light and were off. But the real success has been where advertisers or whole agencies are swapping to DS3 and DFA because they are or are about to be heavy users of DBM and want to benefit from the frictionless web. I work with people a year ago who were nowhere near wanting to work with DFA and were proudly using Mediamind or Flashtalking etc and have now switched and are happy. One major advertiser held a pitch right around now this time last year and the Stack solution was sold but was a just a little early with DS3, DBM all untried for them. One year on that shift is well under away. This is the fruits of the Stack and it is pretty compelling, Google in a year has transformed the display sell and regained an incredible amount of ground in such a short period of time.